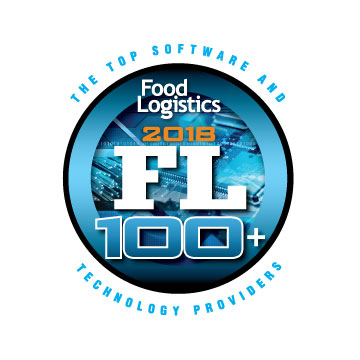 HighJump announces its appointment to Food Logistics’ FL100 for 2018. The award recognizes software and technology providers whose products and services are critical in the global food and beverage supply chain. HighJump makes this year’s list for its unique abilities to empower transportation and mobile delivery for food and beverage companies with the connected, automated supply chain of the future. Consumer demand for delivery convenience, speed, choice and adaptability is on the rise. With this comes greater complexity for the supply chain, particularly for food and beverage companies. Faced with increasingly stringent requirements, it's no longer enough to simply fulfill demand. Companies must anticipate it, predict it and make smarter, faster decisions. HighJump makes this possible with the HighJump Transportation Management System (TMS) and HighJump Direct Store Delivery (DSD). HighJump TMS: The transportation management suite provides real-time information on shipment status to carriers, shippers, brokers and their customers. This eliminates spoilage and optimizes inventory management to assure customer expectations are met or exceeded. HighJump also guarantees alignment with all regulatory requirements. HighJump DSD: The mobile delivery solution guarantees FMSA compliance, while providing a solid and flexible foundation for technology upgrades. This assures food and beverage companies, regardless of the complexity of their delivery channels, can properly track and handle perishable goods with new and emerging technologies.